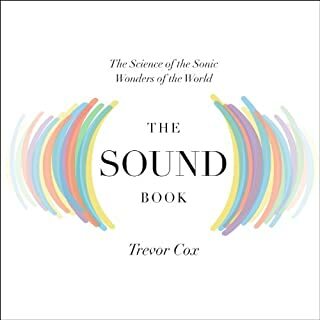 Trevor Cox is on a hunt for the sonic wonders of the world. A renowned expert who engineers classrooms and concert halls, Cox has made a career of eradicating bizarre and unwanted sounds. But after an epiphany in the London sewers, Cox now revels in exotic noises - creaking glaciers, whispering galleries, stalactite organs, musical roads, humming dunes, seals that sound like alien angels, and a Mayan pyramid that chirps like a bird. We're surrounded by fringe theories, fake news, and pseudofacts. These lies are getting repeated. 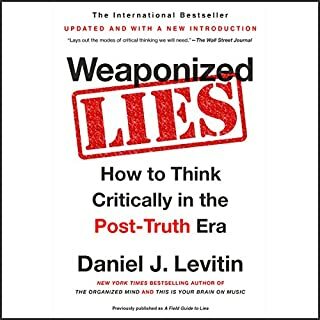 New York Times best-selling author Daniel Levitin shows how to disarm these socially devastating inventions and get the American mind back on track. Here are the fundamental lessons in critical thinking that we need to know and share now. Investigating numerical misinformation, Daniel Levitin shows how mishandled statistics and graphs can give a grossly distorted perspective and lead us to terrible decisions. Taking a cognitive approach to musical meaning, Arnie Cox explores embodied experiences of hearing music as those that move us both consciously and unconsciously. In this pioneering study that draws on neuroscience and music theory, phenomenology and cognitive science, Cox advances his theory of the "mimetic hypothesis", the notion that a large part of our experience and understanding of music involves an embodied imitation in the listener of bodily motions and exertions that are involved in producing music. The award-winning creator of the acclaimed documentary The Music Instinct: Science & Song, explores the power of music and its connection to the body, the brain, and the world of nature. Only recently has science sought in earnest to understand and explain this impact. One remarkable recent study, analyzing the cries of newborns, shows that infants' cries contain common musical intervals, and children tease each other in specific, singsong ways no matter where in the world they live. 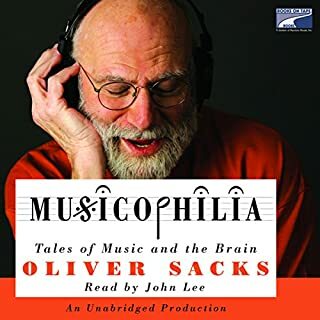 The author of the New York Times best seller and Los Angeles Times Book Award Finalist This Is Your Brain on Music tunes us in to six evolutionary musical forms that brought about the evolution of human culture. 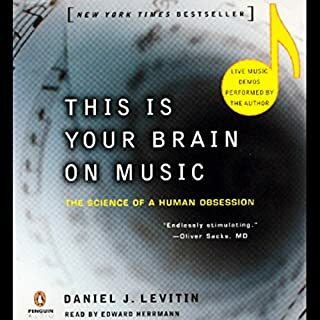 An unprecedented blend of science and art, Daniel Levitin's debut, This Is Your Brain on Music, delighted readers and listeners with an exuberant guide to the neural impulses behind those songs that make our heart swell. 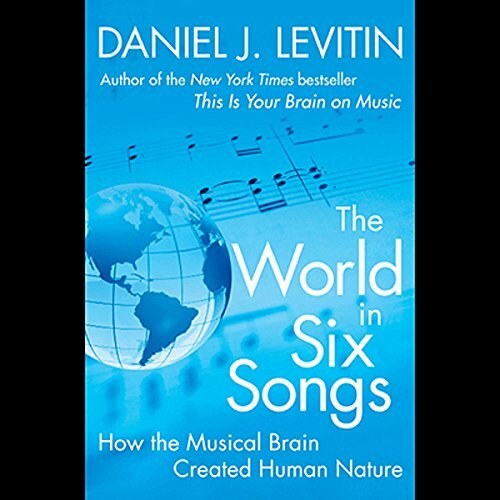 Now he showcases his daring theory of "six songs", illuminating how the brain evolved to play and listen to music in six fundamental forms - for knowledge, friendship, religion, joy, comfort, and love. 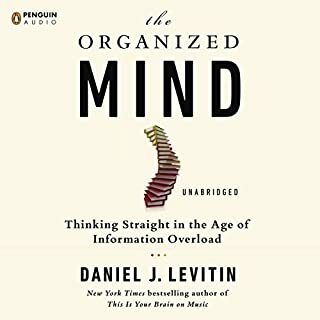 Preserving the emotional history of our lives and of our species, from its very beginning music was also allied to dance, as the structure of the brain confirms; developing this neurological observation, Levitin shows how music and dance enabled the social bonding and friendship necessary for human culture and society to evolve. 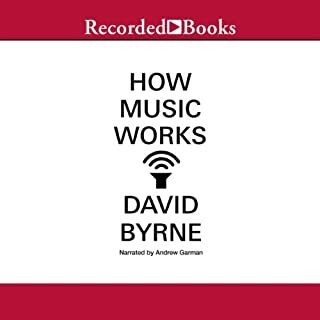 Blending cutting-edge scientific findings with his own sometimes hilarious experiences as a musician and music-industry professional, Levitin's sweeping study also incorporates wisdom gleaned from interviews with icons ranging from Sting and Paul Simon to Joni Mitchell and David Byrne, along with classical musicians and conductors, historians, anthropologists, and evolutionary biologists. The result is a brilliant revelation of the prehistoric yet elegant systems at play when we sing and dance at a wedding or cheer at a concert-or tune out quietly with an iPod. The premise is an interesting one, however it could have been said in a page or two. The author, who is also the nigh-on un-listenable narrator, fills the space to make a complete book by blathering on about stuff that is so obvious as to not be worth saying, or making wild and sometimes inane "scientific" conjectures with no evidence. The book is not ALWAYS boring and not much fun to listen to, but mostly, it is. At least that was my experience. The possibility for this to be a wonderful book is fabulous. However, the author rambles, goes off on winding tangents, and mainly name drops throughout this book. This was a book club choice for our group, and the discussion WAS involved, but all in agreement that it basically was a name dropping bore who had a good idea for a book, but the execution was very poor. Not a recommended read/listen.